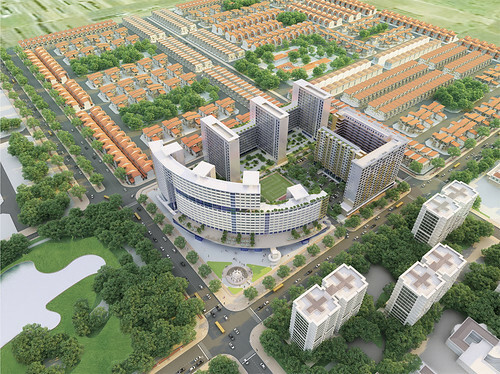 8/13/2010 - A new complex city, Welife City, is being constructed at the gateway of the Western of Saigon - new direction has been chosen to expand the city in the future. With hi-end design and international standard, the Green Hills apartments in Welife City are carried out by a foreign experienced and prestigious developer from Korea will offer a perfect choice for customers looking for a premium and affordable dwelling place. IDE Company - the project developer has finished the "Green Hills serviced apartments" 3 years ago in Quang Trung Software Park for foreigners and expatriates and it is considered as one of the highlighted projects in the apartment industry. 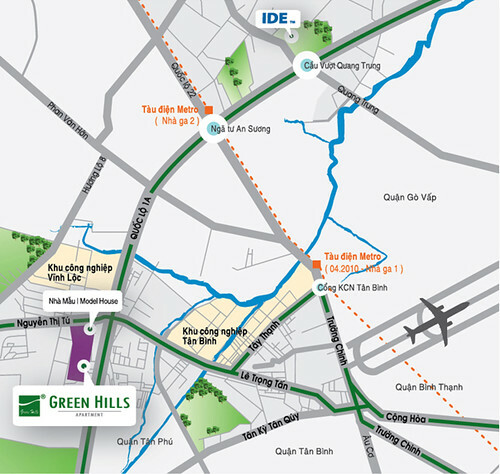 With the experience and achievement of Green Hills brand-name, the company continues to develop another Green Hills in Welife City in Binh Tan District.lhe new Green Hills apartment is located on the intersection of Le Trung Tan Street and 1A National Road. In the future, this area will be developed to become a Western-standard urban residential zone with General hospital, shopping mall done by a famous Korean depart ment store, international school, cultural house, park, swimming pool, tennis and badminton court... ready to serve all new residents. All units in the Green Hills are specially designed in harmony with the green environment. Each apartment has terrace and directly opens to the outside. All bedrooms have windows allowing winds and sunlight to enter the house naturally. In the Green Hills apartment, most of interior materials are imported to present to customers a new standard of quality. For instance, the wooden floor imported from Switzerland while built-in furniture, doors, kitchen equipments are from Korea. In addition, there will be an electrical system to control everyone coming in and out of the buildings. Each apartment is geared with video intercom with LCD screen. Mr. Hwang Byung-Lak, CEO of IDE Company, said: "We commit that the delivery will be done in time to be on schedule and at high quality to serve our customers. I believe the Green Hills will be an ideal place to live and a best place to build a home. The Green Hills is the perfect choice for people looking for a premium dwelling place at an affordable price." Building on the inspiration to create a perfect "Green HT for residents to contemplate the nature, the Green Hills possesses all the comforts of life to let you enjoy a new standard of living. *Green Hills Project is now opening the first registration with special price. There are 3 sizes option: 63.57sqm, 78.20sqm or 115.20sqm. Up to customers' demand.